As we view the result of the 2017 statistics, it is important to note that the main market areas surveyed by this statistical report changed in 2017. Prior year statistics included the geographic area for Green Valley and Sahuarita. 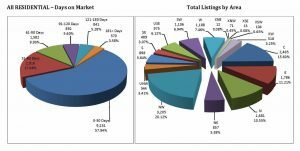 Because of the MLS regionalization efforts, the MLS area boundaries were adjusted and Green Valley and Sahuarita are no longer included in the main market areas for the Tucson Association of REALTORS® resulting in a lower number of listings in comparison to previous years. 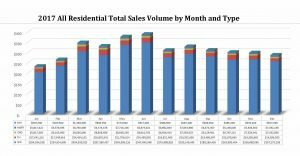 2017 proved to be a great year for the Tucson housing market with the highest Total Sales Volume in the last ten years. Listing prices and sales prices have continued to grow towards levels not seen since before the recession. Please continue to read through the following pages to see the Tucson Market Trends. A snapshot of the MLS Year in Review Summary shows total sales volume for 2017 is $3,773,311,675, an increase of 3.31% over 2016. 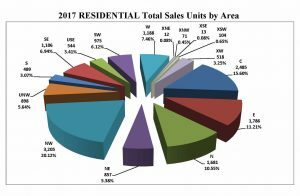 The total unit sales and total units listed were a little less than 2016, but much of that was attributed to the change in market area. The average list and sold prices were up. Days on market as well as cumulative days on market saw a significant decrease again this year. All of these factors are indicative of the high demand and low inventory, and point to an economic recovery in Tucson. Average % of list price received on sales continued to increase again this year and continues to be the highest it has been in over 10 years. We would like to recognize and say thank you to the entire MLSSAZ staff for a job well done. We are grateful for everything they do and we are lucky to have such a great team providing their services to our REALTOR® community. As we begin another terrific year, we continue to hope our residential housing market continues to show growth and improvement. On behalf of the Tucson Association of REALTORS® and Multiple Listing Service of Southern Arizona, we wish you all continued success in 2018! 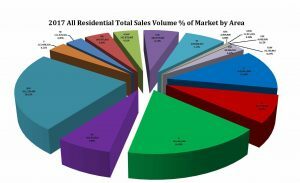 This information came from www.TucsonRealtor.org See website for more information and details! If you’re thinking about buying a home see www.GatewayAgent.com for a FREE list of properties for sale. We do not sell your information and all homes for sale come straight from the Multiple Listing Service Southern Arizona. If you’re curious what your home is worth in this amazing market, see www.GatewayAgent.com for a FREE Instant Home Valuation! If you’d like to schedule a time with us to view your home and decide if it’s the right time for you to list it for sale please contact us at 520-505-1696.